I would definitely recommend this book as it is an easy read and I finished it in the total of one day. In the end it will leave you questioning the importance of people in your life and how your death would affect those close to you. I know that sounds a bit morbid, but I assure you that it isn't a heavy book, but rather one that leaves you pondering your life in a very positive way. 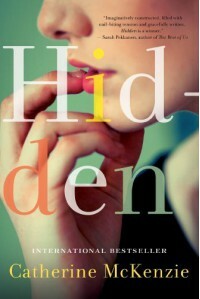 At least that's how "Hidden" affected me.